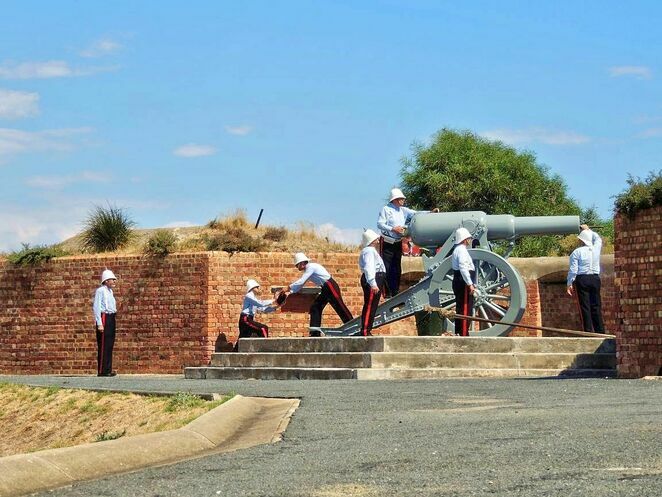 Fort Glanville is a coastal fort built to defend South Australia from invasion in the 19th century. Rumours were flying about Adelaide in those days that the Russians were coming, and coastal forts were considered a necessity. 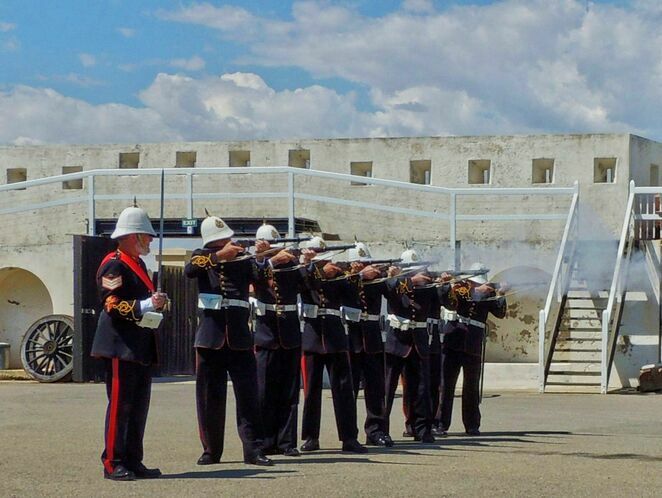 Situated in a conservation park on the sea front just south of Semaphore, the fort has been carefully restored over the years to its former glory by volunteers from the Fort Glanville Historical Association. 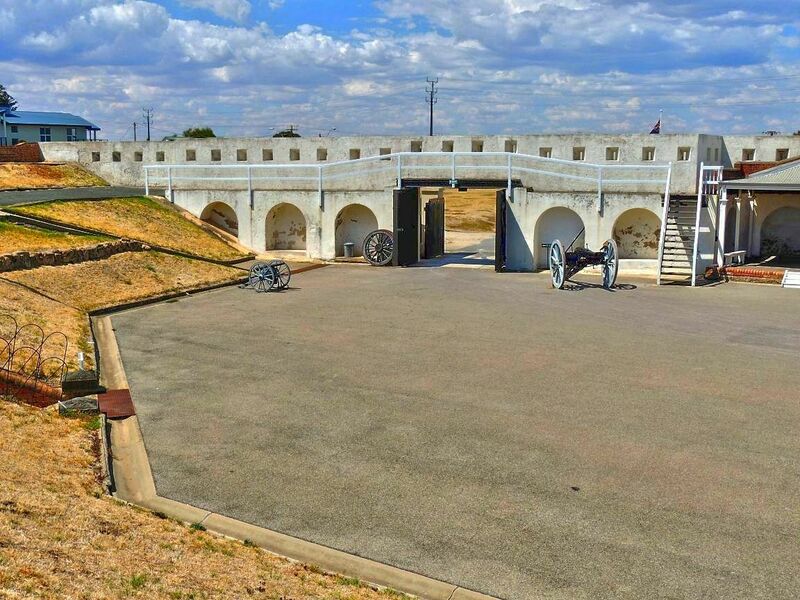 The fort buildings, artillery guns, and built environment have been historically re-created, and Fort Glanville is open to the public for tours, special events and function bookings. 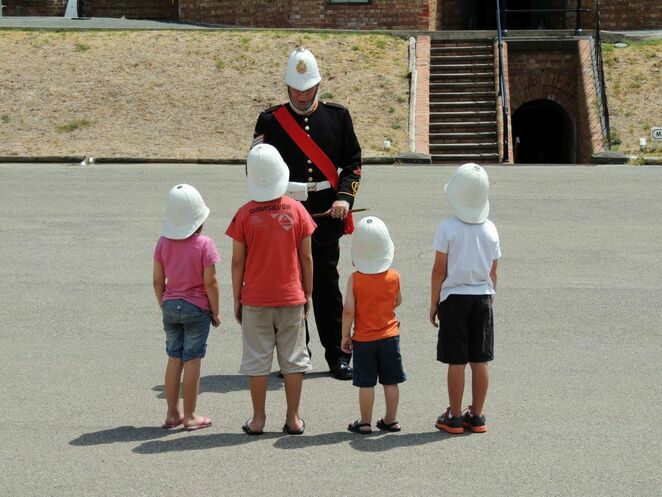 Far from being a boring static display of times gone by, the fort comes alive regularly with reenactments of the activities that were once part of daily life here. 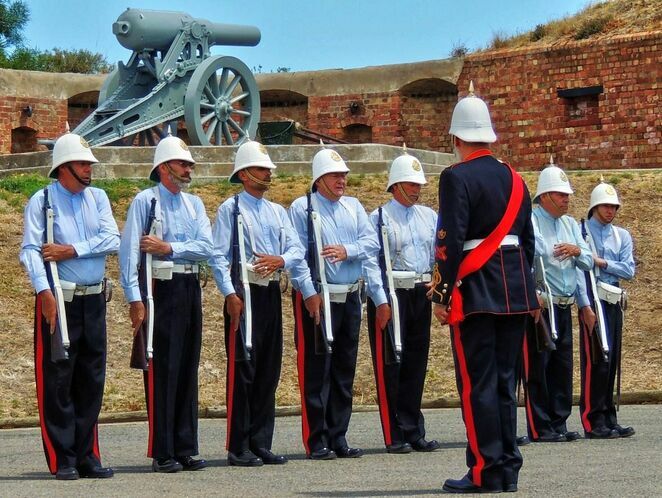 Visitors to this South Australian coastal fort are rewarded with authentic drill parades, firing of artillery guns and cannons, and kids love the opportunity to participate in the activities. It’s all quite interactive, and volunteers are eager to make sure that visitors make the most of their stay. After passing through the shop and Visitor Centre full of historical displays and information, the visitor walks along the old road originally used to enter the fort. You can either take a guided tour or wander around the displays at your own speed. 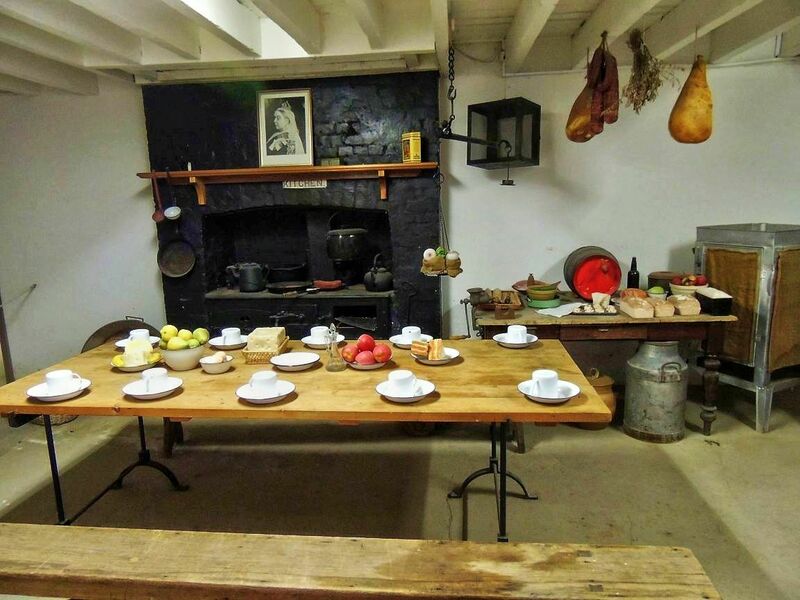 The displays have a range of themes including life in the barracks, where the soldiers were accommodated underground. Living conditions were quite confined in those days, with the garrison sleeping in one room. The fort magazine (where ammunition was stored) was located below ground level for safety reasons. 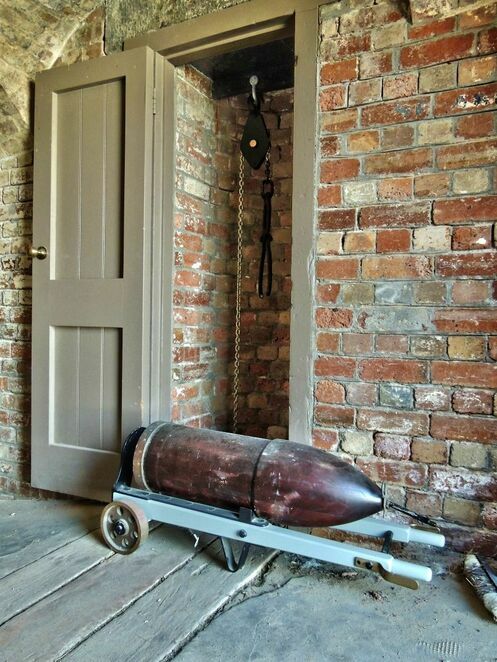 From there ammunition was carried up one level by hoist to the Loading Gallery. This is probably also the method that was used at Fort Largs, which was built only a few years later. The loader for the 10″ cannon allowed loading to be carried out more safely within the loading gallery – the gun barrel was rotated and lowered to allow muzzle loading, Once loading was complete, the gun barrel was raised, rotated, and the gun fired. 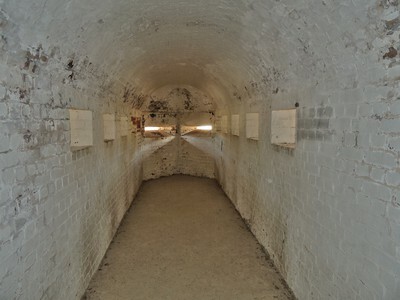 Fort Glanville also features a caponier, a tunnel leading out into the sand hills which allows forward defence of the fort from concealed positions underground. Throughout the afternoon, the energetic volunteers from the Fort Glanville Historical Society continue with reenactments, performing drills and demonstrating firing the artillery guns and cannons. I cannot understate the devotion to duty of the volunteers. On the day that I visited it was more than 40 degrees in the sun, and they were seemingly tireless as they marched around in full dress uniform. To be honest I felt heat exhausted watching them perform while I was in the shade. Aged between 16-90, these volunteers are truly Heroes of the Empire. Towards the end of the afternoon comes the piece de resistance, the firing of the 64 pounder cannon. With brisk precision the soldiers prepared and fired the cannon. After two false fires the atmosphere was electric, but we were rewarded with a thunderclap and enough smoke to do a steam engine proud. Visiting the coastal Fort Glanville is highly recommended for families with kids, and anyone with an interest in South Australian history. The volunteers are so keen that it is infectious, and the entry costs are very modest. 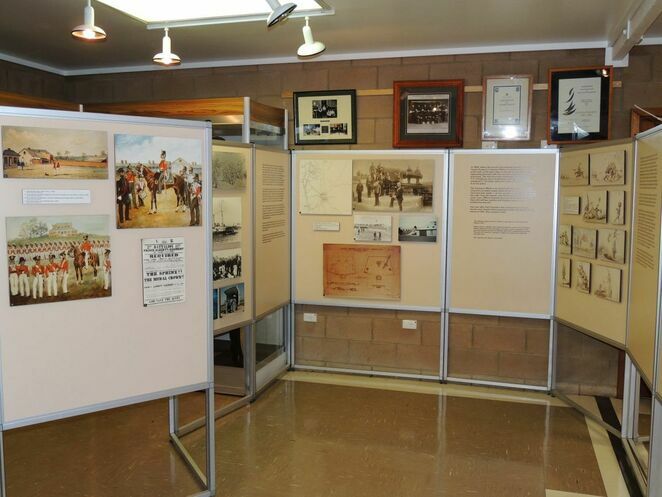 If you’re taking a swim at Semaphore, visiting the Semaphore Amusement Park, or just admiring the local buildingsin Semaphore, Fort Glanville is just down the road and deserves to be seen. Unfortunately it is not possible to see Fort Glanville’s sister fort, Fort Largs as it is not currently open to the public. However you can see a detailed article with photos here.